Gloryhogs - A Smolderthorn Horde Guild - View topic - Thok Thok. Who's There? Best. Best Who? Best Title Ever! Post subject: Thok Thok. Who's There? Best. Best Who? Best Title Ever! 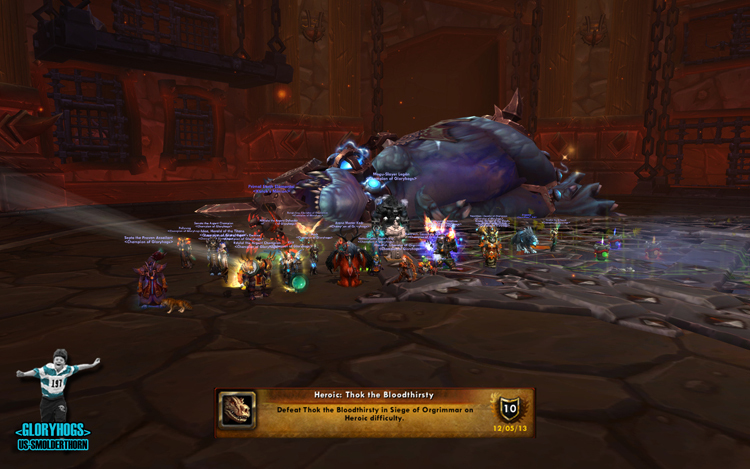 REALM FIRST Heroic Thok the Bloodthirsty 25 killed. US#133, 11/14HM. Post subject: Re: Thok Thok. Who's There? Best. Best Who? Best Title Ever!